With all that is taking place in our world today it makes me scratch my head. I’m not sure where things are going at this point, but I know that I want things to move in a direction that will take us to Christ. Yet it is going to take something more than just going to church on Sunday or having our name on a church roll. 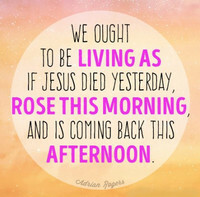 It will be more than just saying that we are going to live for Christ, we must truly live for Him. Making Christ the center of all we do will cause us to lay aside the old and put on the new. I confess that there are times when I try to do things the way they need to be done, but then I fall short. I don’t surrender in the way that I should. I hold on to some of the things that I need to turn loose of so that I can hold to Christ. I don’t think I am alone in this. In fact, I would say that I am one of many who goes through this. Our desire is to follow Christ, but we somehow pick and choose what we will do and ultimately give up to follow Him. In Philippians 1:21 the apostle Paul wrote – “For to me, to live is Christ and to die is gain.” Paul knew that as long as he had breath, it was his calling to serve the Lord. Sure, it had been a long journey for him. He had persecuted early Christians and stood against Christ. He had done all he could to take people away from the direction God was leading them. He wanted the cause of Christ to be silenced and life to return to normal - whatever normal was. But when Paul met Jesus his life was turned upside down. He sought to share the Good News of Jesus with everyone he met and everywhere he went. He even ran into opposition because of his previous actions. The early church didn’t trust him. Yet he continued on. That is what is needed today. We need to move forward in our walk with the Lord in such a way that He is the focus of all that we do. We need to surrender our hearts, lives and all that we are to Him so that He might be able to not only live in us, but live through us. 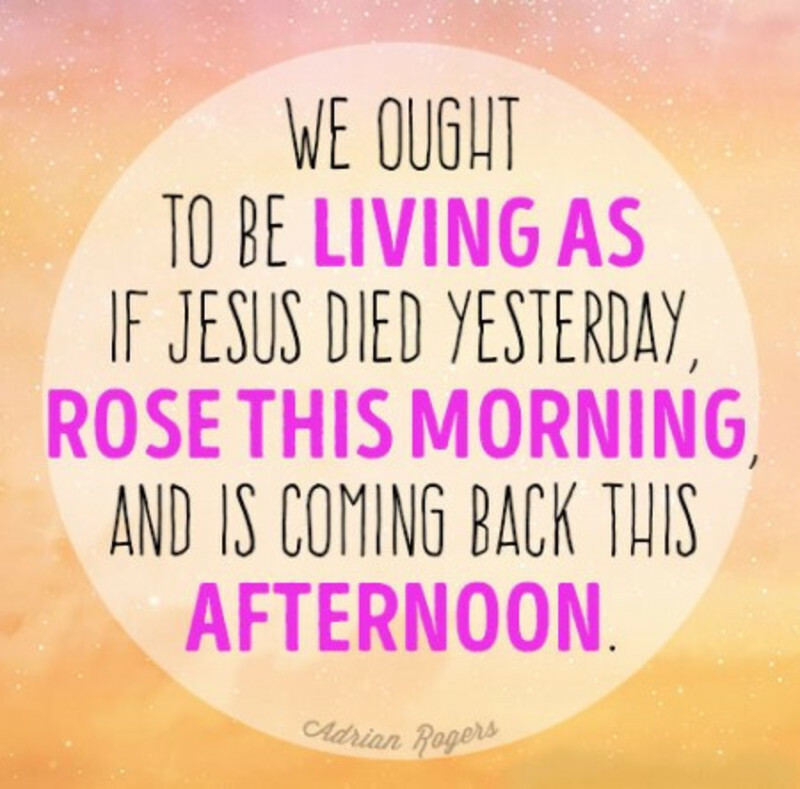 It won’t be any easier for us than it was for the apostle Paul. Truth is we don’t need easy, we need Jesus.